With more than 34 million Americans taking antidepressants in 2013-14, addiction and withdrawal from psychiatric is a growing problem. CLEARWATER, FLORIDA, UNITED STATES, April 10, 2019 /EINPresswire.com/ — The Citizens Commission on Human Rights (CCHR), one of the first groups to expose the violence and suicide-inducing effects of antidepressants in 1989, is advising people to report psychotropic drug adverse reactions, including addiction, in light of recent reports. They advise consumers to take action when they are not adequately warned of side effects while taking the drugs or while withdrawing from them. Responding to CCHR’s concerns about antipsychotics causing irreversible damage, the Florida legislature recently adopted a resolution recognizing May 5-11, and the first week in May every year thereafter as “Tardive Dyskinesia Awareness Week”. Tardive Dyskinesia is marked by involuntary movement of the lips, tongue, jaw, fingers, toes and other body parts. CCHR research found that at least 500,000 Americans prescribed antipsychotics could suffer from this side effect. Tardive Dyskinesia is just one of many side effects associated with psychiatric drugs. 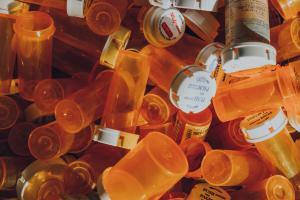 There are at least 17 drug regulatory agency warnings of addiction or withdrawal effects linked to psychiatric drugs, including antidepressants. With more than 34 million Americans taking antidepressants in 2013-14, addiction and withdrawal from psychiatric is a growing problem. On April 1, The New Yorker provided an example of the all too often scenario of doctors and psychiatrists doling out cocktails of mind-altering drugs, then increasing the dosages as fast as it takes to pick up a prescription pad. According to The New Yorker, “In the course of a year, her doctors had created what’s known as ‘a prescription cascade’: the side effects of one medication are diagnosed as symptoms of another condition, leading to a succession of new prescriptions.” Subsequently, Laura attempted suicide by overdosing on the unhelpful pills. However, she was found and admitted to a New York psychiatric facility, where she was started on another round of psychotropics. As the drugs changed, so did the diagnoses from the American Psychiatric Association’s “billing bible,” the Diagnostic & Statistical Manual for Mental Disorders (DSM). At one point Laura was taking seven different drugs, including two antipsychotics, lithium and a medication to treat hypothyroidism, a side effect of the lithium. Eventually, there were happier times for Laura, although only after she began tapering off the drugs, which CCHR stresses should be done under medical supervision. They profit also from drug damage. Pharmaceutical companies and psychiatrists covered up how antipsychotics can also cause “neuroleptic malignant syndrome” (NMS)—a potentially fatal toxic reaction where patients break into fevers and become confused, agitated and extremely rigid. An estimated 100,000 Americans have died from it. Both Tardive Dyskinesia and NMS feature in DSM as billable disorders to treat. CCHR’s psychiatric drug side effects database assists consumers to wade through the facts of drug risks, while its report Psychiatric Drugs Create Violence and Suicide educates about these specific dangers. This is why the group internationally, including in Florida, urges families of people damaged from psychiatric drugs and other treatments to report the abuse and take action. 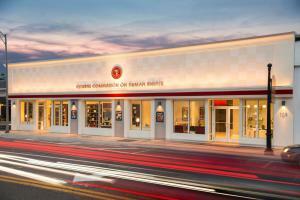 About CCHR: Initially established by the Church of Scientology and psychiatrist Dr. Thomas Szasz in 1969, CCHR’s mission is to eradicate abuses committed under the guise of mental health and enact patient and consumer protections. L. Ron Hubbard, founder of Scientology, first brought psychiatric imprisonment to wide public notice: “Thousands and thousands are seized without process of law, every week, over the ‘free world’ tortured, castrated, killed. All in the name of ‘mental health,’” he wrote in March 1969.